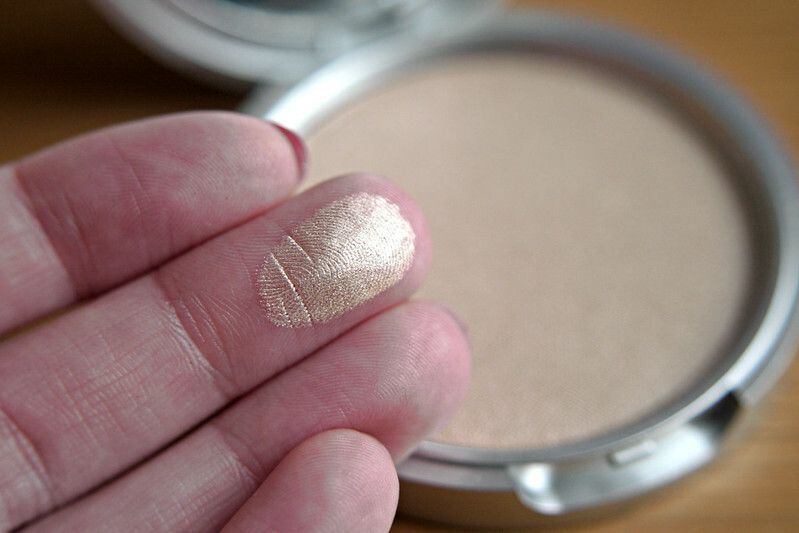 After being a High Beam only user for many years I decided it was time to invest in a powder highlighter. 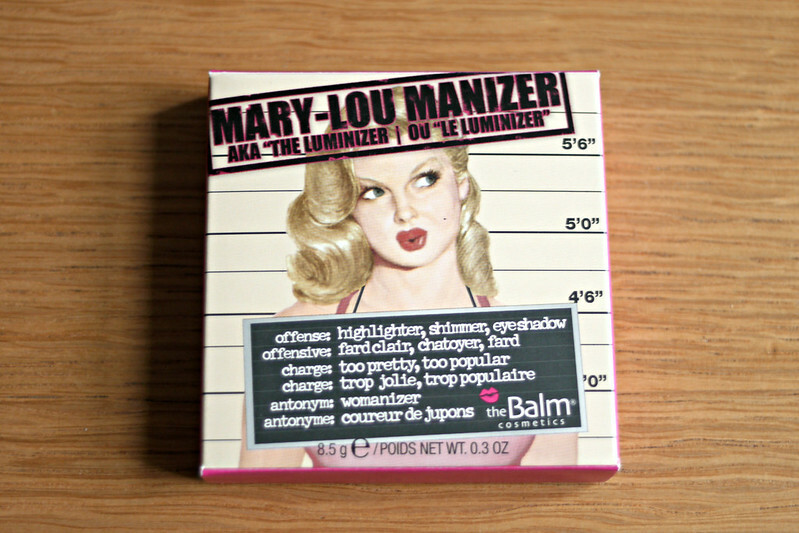 I got a gorgeous Laura Mercier one for my birthday last year (which I hope to review soon) but it's quite intense and more suited to an evening look, so when I saw the Mary-Lou Manizer by theBalm, it looked like just the product for me. I got this back in November and have used it a lot since then and it still looks barely touched so I think it will last me a long time. 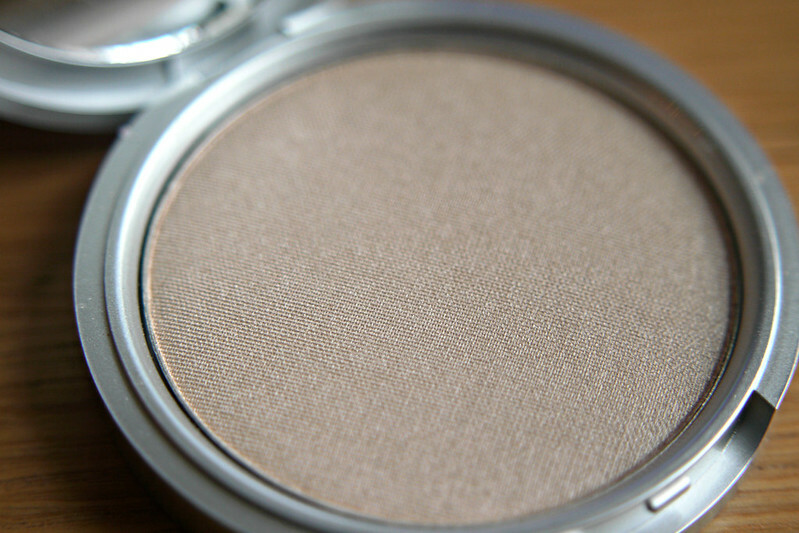 As you can see above it's quite pigmented, but used with a light touch it gives your face a gorgeous, subtle glow. The packaging is very cute (reminiscent of Benefit/Soap and Glory) and durable (I've dropped mine a few times and it hasn't smashed). I still like High Beam for when I want a really natural glow, but this just gives your face a great shape, I really don't like using bronzer as way of contouring my face as I'm just too fair for it, but I think highlighter can do just as good a job of shaping your cheekbones. I hope the photos above demonstrate that. 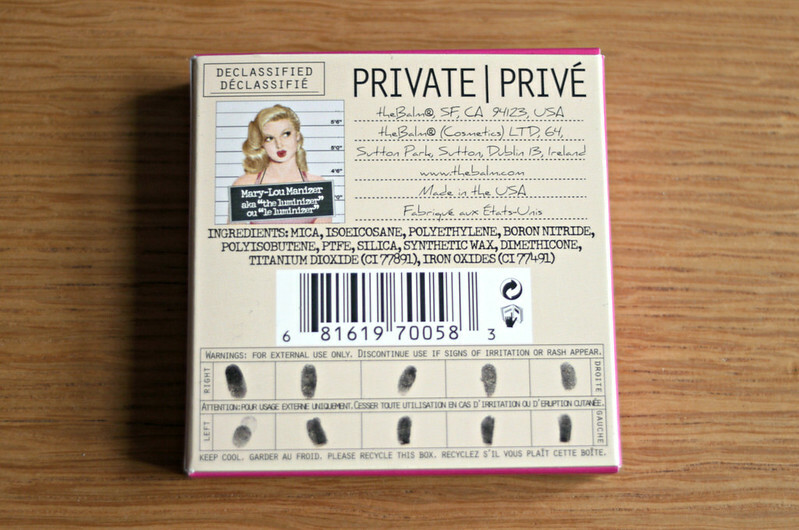 The powder has a smooth velvety texture similar to that of Urban Decay eyeshadows which makes it easy to apply. 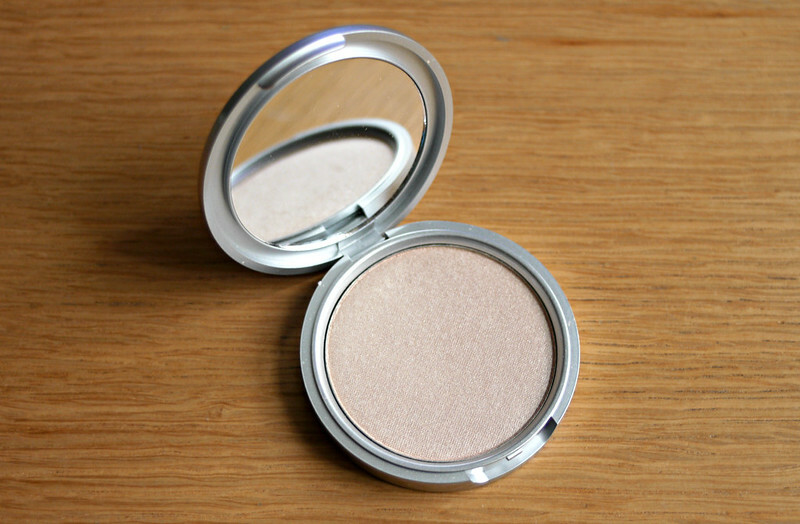 For €18.75, it's a more affordable version of the Dior and Laura Mercier highlighters and I think it's just as good. Aw thank you! Yeah I definitely put on more than I usually would as it was difficult to photograph but I do love it used very lightly for daytime! that's really lovely on you. I adore high beam because it's pinky but it sometimes doesn't blend the best if I am wearing heavier foundation so powder would be great. I have smoked peach from Revlon as well and love it but it looks much paler on me, its stunning on you! Thank you! 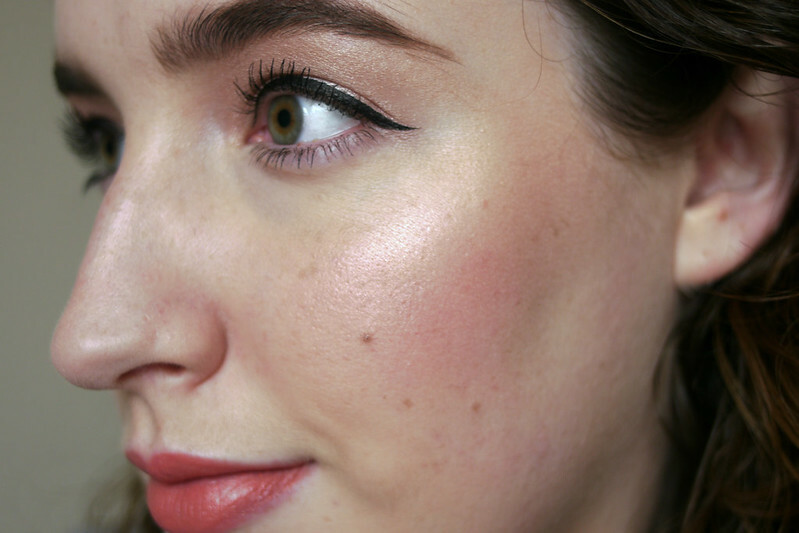 I think High Beam is great for fairer skins, I don't think I'll ever stop using it, it's just so subtle! Glad you're a fellow fan! Looks lovely on you Emma! I had this for a time but rarely used it so gave it to my sister. 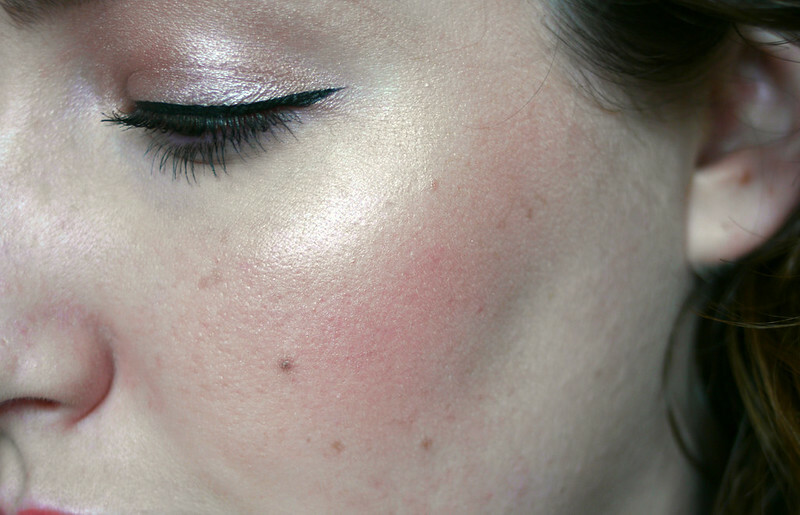 Highlighter is one of those steps I often skip for daytime. I like to use high beam for a natural looking highlight during the day, but this used with a very light hand is my new fave! your cheekbones are gorg...the highlighter really makes them pop! Oh wow does this ever look perfect or what! I have been eyeing this but thought it'd be too much for my pale skin but after seeing it on you I really want it lol. It's fine once you use very little with a light hand. I think any skin tone could get away with it! Wow, what amazing products! Your skin looks dewy and flawless! Love your cat eyes, too!